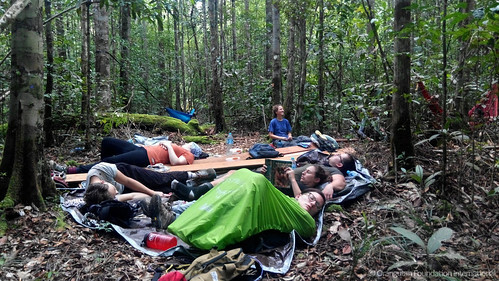 What brought a group of every day strangers together in the remote forests of Indonesian Borneo? How did they cope with the challenges? And what did they discover? If you’re reading this, chances are you’re already a member of Orangutan Foundation International (OFI) or otherwise interested in, and perhaps enchanted by, our red-haired cousins, just as this disparate group of eight people were a year ago. 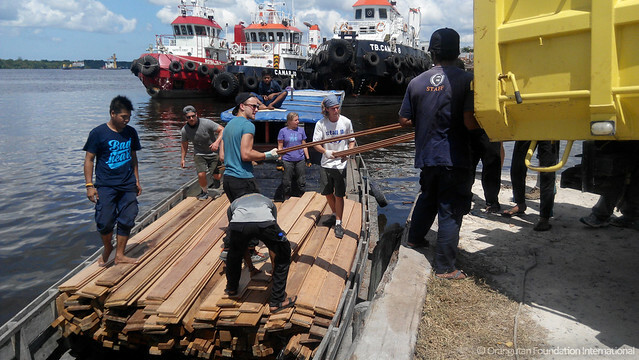 In this interview with members of the 2016 OFI volunteer construction team‘Team Pikul’(named after the Indonesian word for carrying wood, which was the bulk of the team’s labour) we discover the true nature of connection. From different backgrounds and locations, each of us had a strong desire to see for ourselves the magical beauty of orangutans in their own habitat. 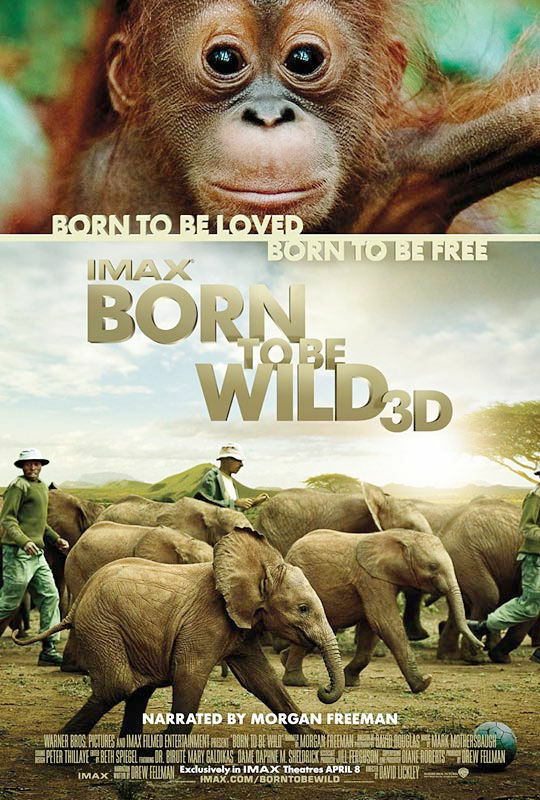 The only great apes of Asia and now critically endangered; we wanted to immerse ourselves in their world while we still could. 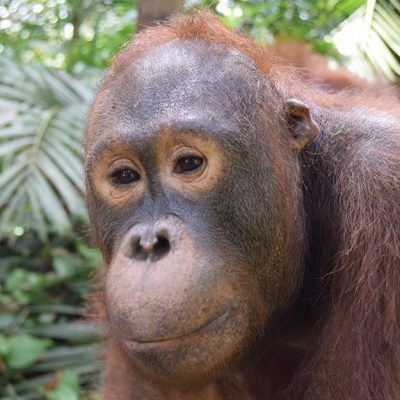 And what better way to do that than to actively support the work of pioneering orangutan researcher and conservationist Dr.Biruté Mary Galdikas through OFI’s Volunteer Construction Program? 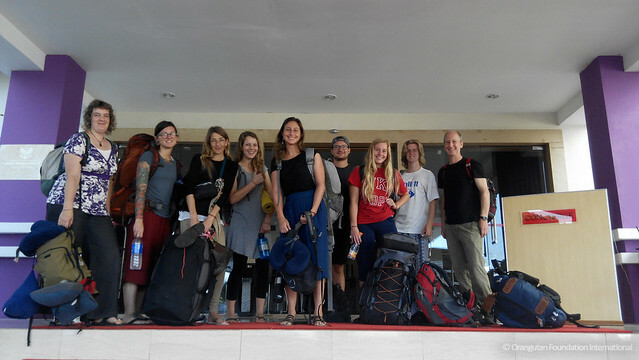 In the end it was a simple decision for each of us – all we did was go to Borneo. Upon arrival at the village of PansirPanjang in Central Kalimantan,we still weren’t sure exactly where we would be based or what we would be doing. It could be at the Orangutan Care Center and Quarantine (OCCQ) in the village where over 320 orphaned and ex-captive orangutans are being rehabilitated. It could have been any number of projects related to conservation, education, rainforest preservation, and wildlife research throughout the region. Gathered together on the porch of OFI’s village house on the first day, we anxiously waited with bated breath to hear the plans for our work. This was no group of eco-warriors. This was a group of ordinary people driven by a common urge to try to help. 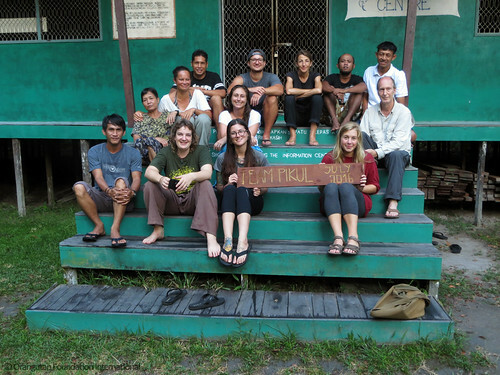 To our complete delight, we learned we were to be based at Camp Leakey, in the heart of Tanjung Puting National Park. We were to help rebuild a guard post at the northern boundary of the National Park to deter poachers who had recently become increasingly active in Dr. Galdikas’ original research site, the 50 square kilometre Camp Leakey study area, established in 1971 and still the epicenter of orangutan field study. One by one, we suddenly realized: this is real. We were going to make a real difference, here and now. This diverse group from all over the world ―students, teachers, lawyers, writers, therapists― had been grouped together, surrounded by orang-utans, and galvanized into a single, unifying force. Brian Hedal, a recent film school graduate, submitted his volunteer application when he learned that his father Joe would be joining. The Hedals are long-time supporters of OFI, but had yet to travel to this part of the world. The Construction Program offered the ideal opportunity to see OFI operations on the ground while actively supporting conservation efforts for a specific mission close to their hearts. 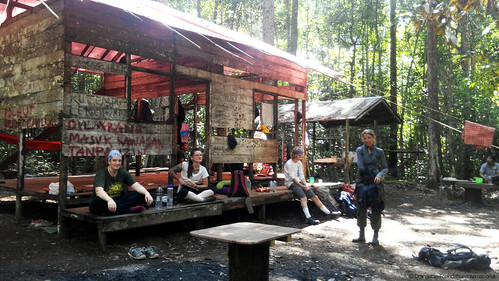 Team Pikul rebuilds the guard post graffitied and burnt down by poachers. 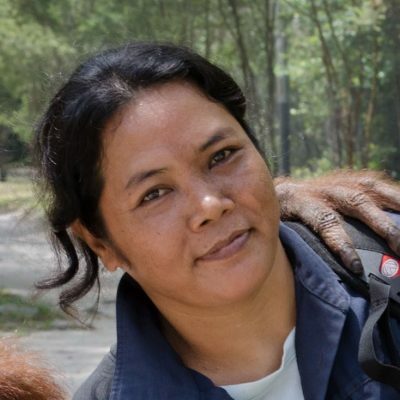 On our first night in Pasir Panjang, Dr. Galdikas told the group: “Camp Leakey is the only place in the world where great apes and humans are equal.” It struck a chord with all of us, but we had yet to fully understand and experience the meaning of her words. While the unifying feature of the group was to help in any way we could, we also desperately wanted to see a wild orangutan. We soon realized that not only would we see numerous orangutans every day, but also that our numbers would be more or less equal, living together peacefully and respectfully in the forest. Julie Hladik, a massage therapist from Albany, New York, had recently focused her vacationing travel plans on serving a greater purpose in the world. Jane Goodall and Dr. Galdikas had been huge influences on her growing up. So for her, heading to Borneo was an obvious choice. The biggest surprise is that none of us came here looking for a life-changing experience. For me (Rowena), a corporate writer from Australia, I just wanted to help. I hoped to see orangutans for myself, and see the situation in Borneo with my own eyes, so that I could better communicate to others why I cared so much and inspire them to also care. 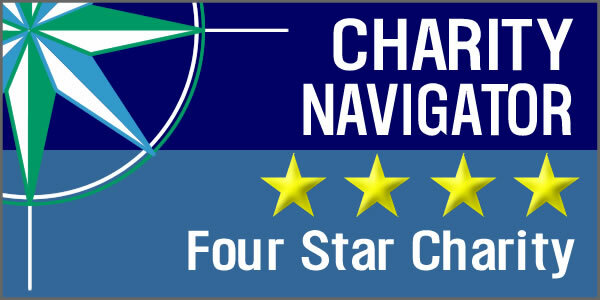 But what the entire team encountered was indeed a life-changing experience. We talk about the ‘natural world’ as though it’s a place or thing far away from us, separate from our own city or town with its roads, cars, telephones and office blocks. We might love our pets and spend time in the countryside, or tend to our gardens, swim in the ocean, and smell the rain. To my intense amazement, this connection to the outside that I felt so deeply in my heart, was just scratching the surface. I’ve discovered a profound awareness in myself of being deeply connected to the natural world, to all things living and inert. This awareness resides in every one of us if only we are fortunate enough to discover it. I can only describe it as utter peace. I wanted to breathe the same air as the orangutans until I realized that no matter where one is in the world, we’re all breathing the same air. We’re all made of the same matter and sharing the same home. Read more about the important work of the 2016 Construction Teams. 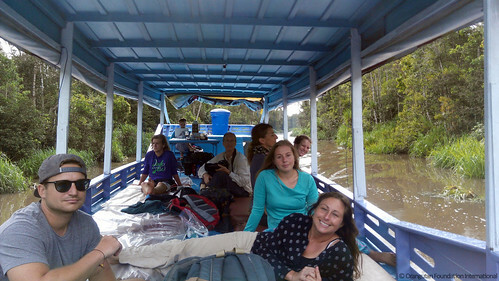 Interested in learning more about volunteering with OFI?